Whether it is on the sporting field or on the political world stage there’s always been a bit of rivalry between Australia and New Zealand. When New Zealand was first to give women the right to vote, Australia followed shortly after, and eventually became the first country to give women both the right to vote and the right to be elected to parliament on a national basis. The relationship between the two countries has been compared to that of siblings, though both countries probably like to see themselves as the more dominant and high achieving sibling. Therefore it’s no surprise that Australia has pulled off the ultimate power play, possibly akin to reading your sister’s secret diary and disclosing her crush to everyone – leaving an open invitation to New Zealand to join forces with Australia – as one of our states. At the time when Australia was establishing itself as a Federation there was much debate over whether New Zealand should also become a part of the country. Ultimately the main concerns raised were the geographical displacement of New Zealand from Australia and the welfare of the New Zealand’s indigenous people. However that hasn’t stopped Australia from pretending that New Zealand is in fact one of our states, despite the many discrepancies between our legal systems many codes and agreements have been put into place across both countries and we have always been quick to claim the credit for New Zealand talents, such as Russel Crowe, Rachel Hunter and Keith Urban. Despite the long-standing mostly friendly rivalry between New Zealand and Australia, UTS:Law’s Constitutional Law lecturer Geoff Holland says that from a constitutional perspective, the impact of New Zealand becoming an Australian State would be minimal. As at the time of Federation, issues would arise around the rights of New Zealand’s indigenous people, the Maoris, and whether they would be given constitutional recognition, the compatibility of New Zealand law with the principle of separation of powers may also be questionable. 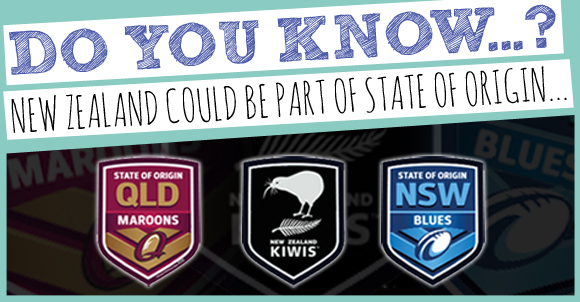 With the State of Origin decider tonight we can all agree that the most important question is whether New Zealand would want to join in the festivities if they became an Australian State and whether they would win. © Copyright UTS - CRICOS Provider No: 00099F - 29 August 2018 06:04 PM. The page is authorised by Deputy Vice-Chancellor and Vice-President (Corporate Services).